FURTHER UPDATE: Our original winner, Nicola Simmons, has opted not to claim her prize, so I have randomly selected another winner. Commenter #14, V. Mac, you are the lucky winner! Thanks again for participating, and please contact me to arrange for delivery of your prize. UPDATE: The winner of this book, as determined by a random number generator at random.org, is commenter #2, Nicola Simmons! Congratulations, Nicola! Thank you to everyone for participating. Stay tuned for more exciting giveaways! Thanks to our friends at Wiley Canada, we have a copy of Shaping the College Curriculum to give away to one lucky reader. Enter to win by posting a comment below, telling us a little about your/your department's/your institution's approach to curriculum design. 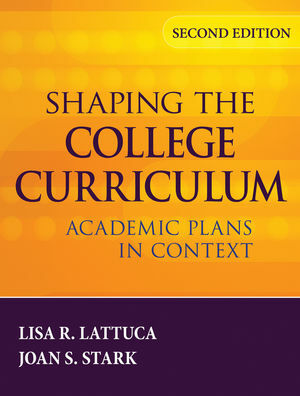 And don't forget to read the review of this title in the Fall 2011 EDC Resource Review! Entries must be received by midnight Pacific time on Friday, November 25. One entry per person. Winner will be selected randomly and announced on this blog, so please check back after Saturday, November 26 to see if you are the winner. You do not need to be a member of the EDC to enter. No geographical restrictions apply. I would very much like to read this book. In my institution we are in the process of preparing for ABET accreditation and curriculum design is a key part of the process. We do not have one approach at our institution but most departments have a template they use. In ours we put course objectives at the centre and in these we stress the importance of critical/analytic skills along with mastering content and self reflection in relation to the content. We are shaping our curriculum design process to focus on institution wide Essential Learning Outcomes. We are also currently discussing and planning on ways to implement eportfolios that are linked to our institutional ELOs and that would have two stages: a GE portfolio stage that then forms the foundation for major program ELO portfolios. However, the planning is one thing -- gaining input and buy-in from departments and faculty is the real challenge. Between 2003-2005, eight departments at my college were involved with shaping their curriculum through what became known as the Curriculum Review Process. It involved an in depth analysis of the relationship between their objectives and their assessments. This curriculum alignment project is now being used in 3 other departments. My challenge is to keep the alignment process going in all departments. Right now I have two new departments involved in the process. This book may give me ideas on how to engage other departments again. Program curriculum review is part of the program review process. Design of upper-level general education courses is undertaken by those who will teach the course, utilizing college-wide, common learning outcomes, which are specific to the category into which the course falls. Lower-level general education courses, where the same course it taken by all students (writing, speaking, etc.) are taught using a set of common outcomes. A curriculum review committee assesses the fit of a newly proposed general education course with the specified outcomes. At my institution each college or school has their own approach to curriculum and course design. Some factor in industry requirements and others rely on tradition. There is no formalized, university-wide,approach. Interesting to see the strategies post so far - no strategy, faculty-instituted strategy, programmatic strategy and institutional strategy. 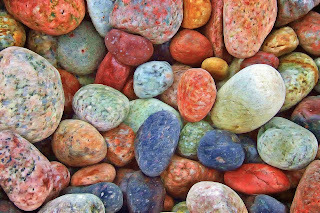 As a review for an accrediting agency, I understand the priority on institutional alignment of curriculum to mission and program outcomes but after many years of reviewing institutional portfolios and experiencing the rapid change of if institutional priorities (funding, technology, accountability) I think there is a need for new models of curriculum design and development. Does this book provide us a new vision? We follow an approach that includes a needs assessment and learner analysis. Core to the design process is a review of the objectives, activities and assessment to ensure alignment. Although we do not have a 'one-size-fits all' solution, the results tend to incldue the following characteristics: student-centric, active, collaborative, contextual. The Centre for the Support of Teaching leads a series of workshops for leaders of programs with an upcoming Program Review (Developing a program-level statement of degree level expectations, Assessing program-level learning outcomes, Planning your Program Review), resources on curriculum review/design, arms-length nominal groups for student feedback in small programs, and consultations/customized workshops on request. At uOttawa there is a formal process that has evolved in the last couple of years. The greatest change is the requirement to create clear, measurable learning outcomes for a program being created, modified or evaluated. Plus, the learning outcomes have to be mapped to the courses in order to judge and improve curriculum coherence. It's been a positive change and one that more faculties and programs are buying into. Our institution has adopted Outcomes-Based Education as it's guide for curriculum development and assessment. I'm interested to see how this book looks at and links both concepts. We are involved in examining the gaps in our student success/persistence rates. As an engineering institution that historically served (and continues to serve) largely white males, we are excited about looking at a more inclusive curriculum design as an opportunity to serve the broader population. I hope this book could assist in assessing more inclusive design. Our centre is involved in curriculum design at multiple levels across the university. I am a fan of the idea the Stark and Lattuca advance because it is a simple idea (academic plans) that is relatively easy to understand. I also appreciate their efforts to contextualize curriculum design in the large context of educational reform. I am keen to get my hands on the second edition to see what has changed.